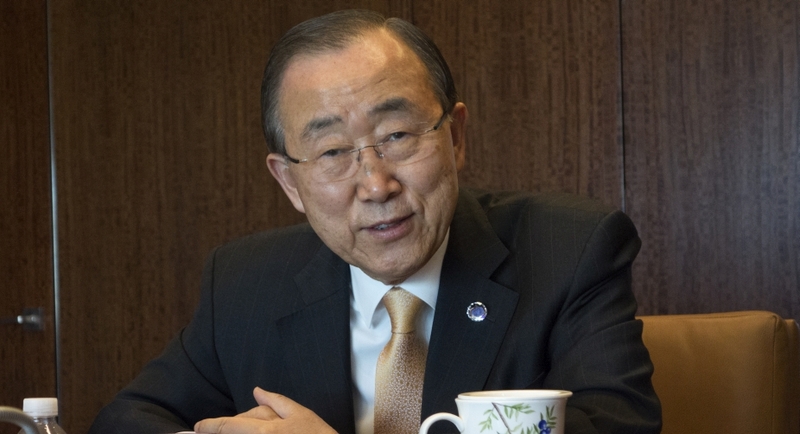 Former UN Secretary General Ban Ki-moon, upon returning to South Korea, has hinted that he would run in the forthcoming presidential election, underlining his past 10 years of experience as the chief official of the international organisation. He also reiterated his denial over the allegations that he received massive kickbacks from a businessman, The Korea Herald reported. "I have vowed to listen to the people's opinions and I plan to do so, starting from tomorrow (Friday)," the former top diplomat said at a press conference, following his arrival at Incheon International Airport on Thursday. "Then with a humble heart, I will make a decision that has nothing to do with my private interests. The decision will not take long." Ban, whose two consecutive terms as the UN's top official ended on December 31, returned to his home country accompanied by his wife Yoo Soon-taek. He was received at the airport by Vice Foreign Minister Lim Sung-nam and Incheon International Airport Corporation CEO Chung Il-young. Although he refrained from directly announcing his much anticipated presidential candidacy, Ban once again expressed the will to become part of the country's leadership. "I have long sought to use my insight and experience as UN Secretary General for the sake of my own country," Ban said, stressing his prestigious career as the chief official of the world's most powerful international organisation. On Friday, he is scheduled to pay a visit to the Seoul National Cemetery, located in his resident area Dongjak-gu in southern Seoul, and then to a nearby community centre, according to his spokesperson Lee Do-woon.